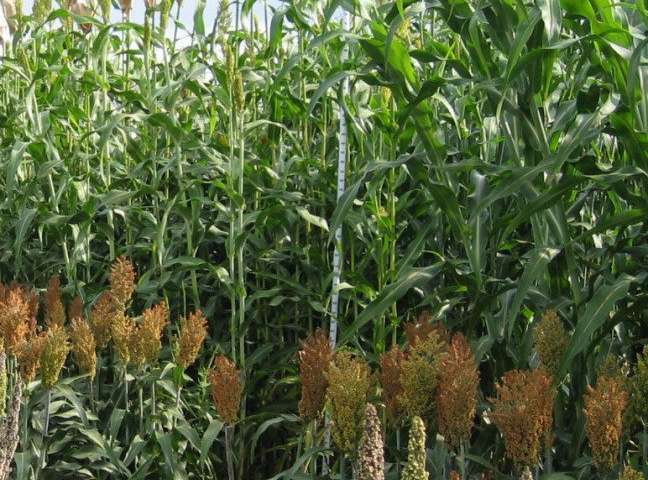 "We want to step into the plant's shoes to see how they make the decision for when to flower," said Xianran Li, adjunct associate professor of agronomy and a co-corresponding author of the study. The three geographical regions in the study presented a wide range of environmental conditions, and, at first, the data presented no obvious patterns, he said. But when the researchers zeroed in on "photothermal time," a window of time that's crucial to a plant's development when it processes the environmental cues of sunlight and temperature, everything fell into place. "Not just the overall performance and its prediction, this represents an elegant framework in which scientists can better understand the intricate dynamics of gene effects, the ups and downs, along this environmental gradient," Yu said. "We started seeing patterns in the noise," said Tingting Guo, postdoctoral research associate and a co-first author of the study. "In any environment, if I have this photothermal index, I can use existing performance curves to predict future performance. It's a standardized framework for making predictions." "This turns that challenge into an opportunity," Yu said. "It gives us a place to start when making predictions with many unknowns involved."